1300nm Edge-Emitting LED / TO56 Package | OSI Laser Diode Inc.
OSI Laser Diode, Inc’s 1300nm edge-emitting LEDs feature stable power and spectral characteristics over temperature. These LEDs are typically used in data or analog transmission systems where the launch power requirements are too great for an SLED component and where a laser is not suitable. 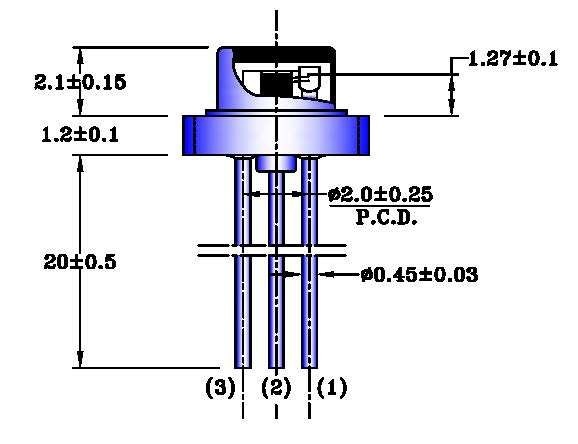 The ELED device is packaged in a 3 pin TO56 with window cap. This part is RoHS compliant.